222% Trending now. Easter sale now live, with 20% off! Sign up for free and just shop with River Island as normal. Our average member earns over £300 cashback a year. River Island cashback can be earned simply by clicking through to the merchant and shopping as normal. River Island Cashback is available through TopCashback on genuine, tracked transactions completed immediately and wholly online. As one of the most loved and popular clothing brands on the high street, they can provide you with everything you could need for your wardrobe, including the latest trends, as well as plus-size, petite and big & tall collections. Almost all of the items they sell are designed in-house and you will find new products every week. 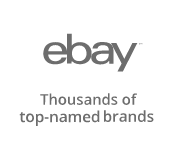 Search new arrivals, whether you are looking for clothing, accessories or footwear, while you are sure to find sale items and great offers if you are looking for a fantastic deal. They offer a student discount on selected dates, as well as express delivery and a free Click & Collect service, while you can also shop on the go thanks to their app. Join TopCashback by filling out the form at the bottom of this page and you will be able to earn cashback when shopping online at River Island for stylish yet affordable women's fashion and clothes for men which features their unique detailing. No matter what you are looking for, you will discover a wide range of womenswear and menswear at River Island. Their women's clothing collection features everything from dresses, playsuits and denim jackets to swimwear, lingerie and nightwear. Shop for premium occasion wear, while if you need something to complete a look, they sell shoes, boots, bags, jewellery and more. Browse their holiday shop or look for workwear and partywear, while their men's department is ideal if you need a new top or are looking to buy jeans, shirts, hoodies or suits. River Island is great for kids too as you will find clothing for boys and girls from the ages of 0-12, with their girlswear selection featuring an exclusive Abbey Clancy edit. Anyone looking for a River Island discount can use our cashback offers and shop fashion for less, and if you want more, there are some simple saving tips you can follow. Firstly, be sure to check out the offers section found under the women, men and children’s categories, it’s here where you’ll see the seasonal offers and sale sections, as well as multibuys on items like shirts or tops. Within the seasonal offers area, expect to find a selection of lines with up to 40% off, while on the sale page you can catch those out of season styles for even less. As a second tip, regular updates to the deals are found in the River Island email newsletter, so get yourself signed up. As a subscriber, you’ll also be notified of additional offers like spend and save, early reviews, flash sales and even free delivery days. Speaking of which you can gain standard free postage at any other time by spending over £65 or if you purchase over £100 then you’ll get next day delivery for nothing. If you are need of a little help create your look or discover your personal style, you can take advantage of River Island's Style Studio, which is their complimentary styling service. It offers customers a unique and tailored personal shopping experience in the luxury of their in-store studio space. Their team of personal stylists in London, Liverpool and Birmingham will find fashion to suit your style and personality. All you need to do is pick your preferred store and book your appointment online. What's more, there are three different types of appointment you can choose from, depending on your needs. The 30-minute Studio Fix appointment is great if you are short on time, while it will still ensure you leave with the perfect outfit for any occasion. If you need longer, you can opt for a one-hour Studio Select appointment if your social calendar is filling up with events and you are in need of outfits. Should you need to give your wardrobe an extensive makeover, meanwhile, a Studio Inspire appointment will give you two hours to cover a whole host of trends and looks, whether you are looking for everyday items, workwear or something for a special occasion. 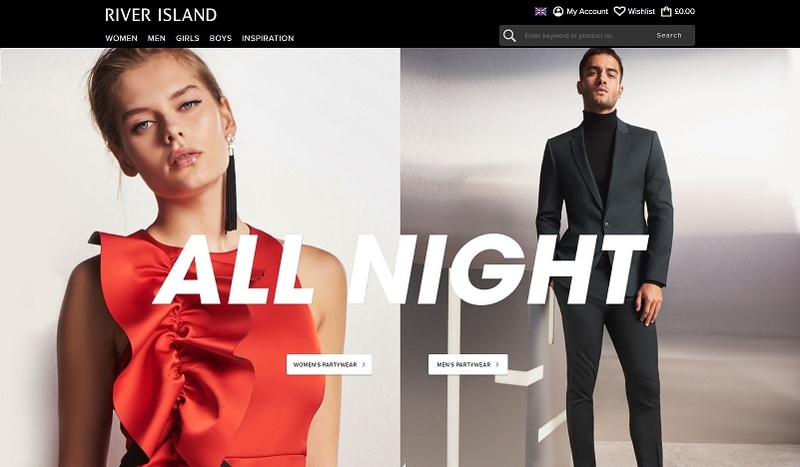 Download the River Island app for your iPhone, iPad, Android or Windows device and you will be able to buy clothes for men, women and children no matter where you are. You can check out the latest trends on the go, get some fashion inspiration and share what you buy with your friends. See what's new in or locate your nearest River Island store and check stock if you need to try something you have seen online on before you buy. Once you have decided what to buy with our River Island discount code and cashback deals, you will be able to choose from a range of delivery and collection options. 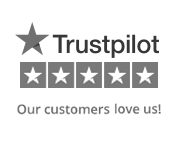 Standard delivery will usually see your order arrive within 3-4 working days, but they will confirm the expected date before you place your order. Choose express delivery and orders placed before 5pm Monday-Friday will be delivered the next day (exclusions apply), while those placed between 5pm on Saturday and 5pm on Sunday will arrive on Monday. Orders placed before 5pm on a Bank Holiday will be delivered the next day, as long as that is not also a Bank Holiday, while orders placed after 5pm on a Bank Holiday will arrive two days later. You can also order online and collect it from a River Island store within five days thanks to their standard Click & Collect service, which is free. You will be sent an email when your order is ready to collect, which you will need to take to the store, along with proof of ID. The store will hold your parcel for 14 days, after which it will be sent back to the warehouse and you will be given a refund. They also offer an express service, which will see your items arrive in store within 1-2 days. Items can also be sent to your local myHermes ParcelShop or Collect+ store within 3-5 days. If you are using Collect+, you will also need to take the tracking number they will provide and the order confirmation, while if you are picking up from a ParcelShop, you will need the email confirming your parcel is ready for collection. An express service is also available, which will see your items arrive in 1-2 days. Earn cashback rewards when shopping for the latest clothing trends with these great deals. Browse fashion for women and men, as well as childrens' clothes collections, at River Island. River Island are known for their stylish and affordable fashion and the unique touches they bring to their collections. Customers love their going out looks, amazing denim and fabulous shoes and bags. Shop for dresses and tops, shoes and boots, swimwear and beachwear, coats and jackets, jeans and T-shirts, as well as accessories.